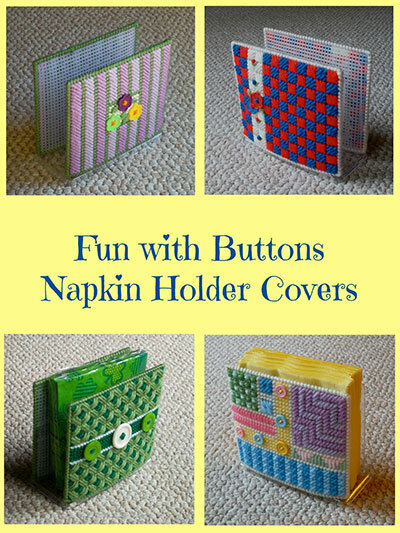 Start raiding your jars and boxes for colorful buttons to dress up your plastic canvas napkin holders in style. 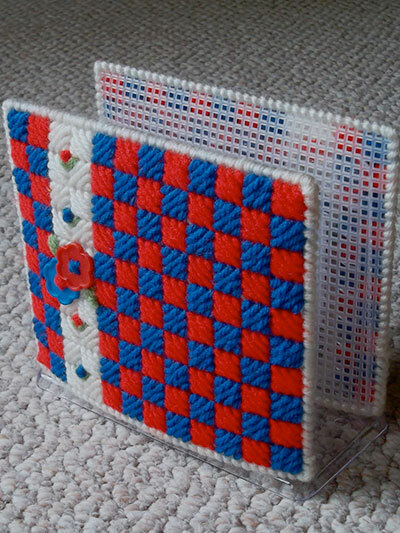 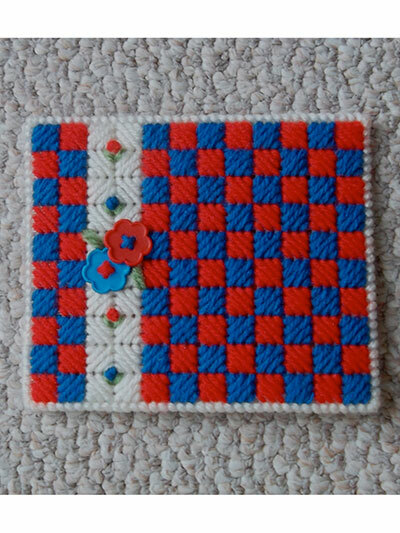 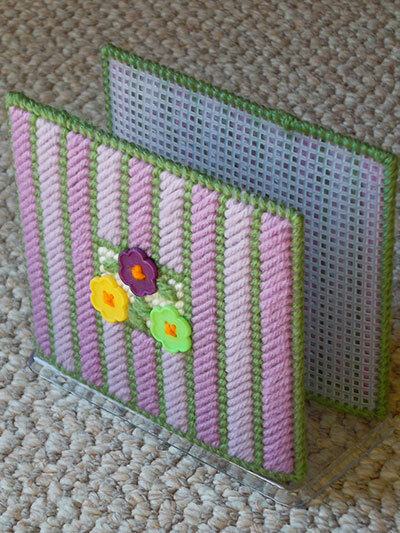 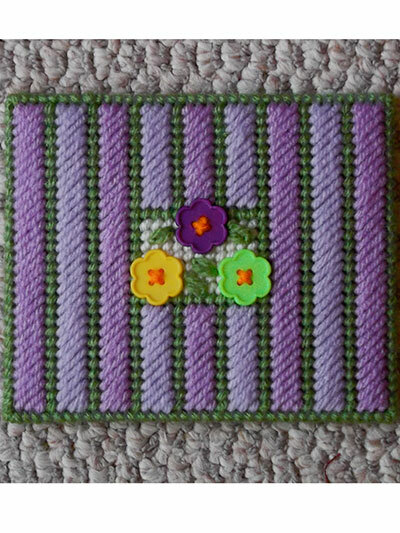 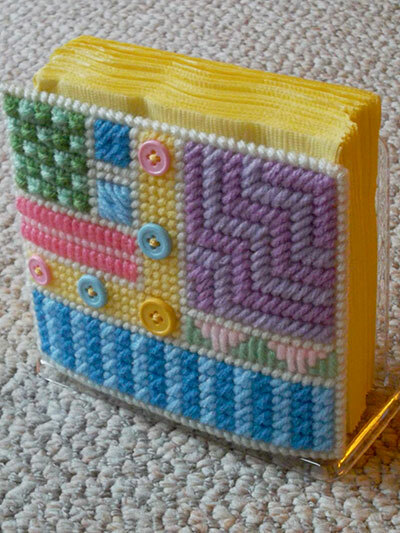 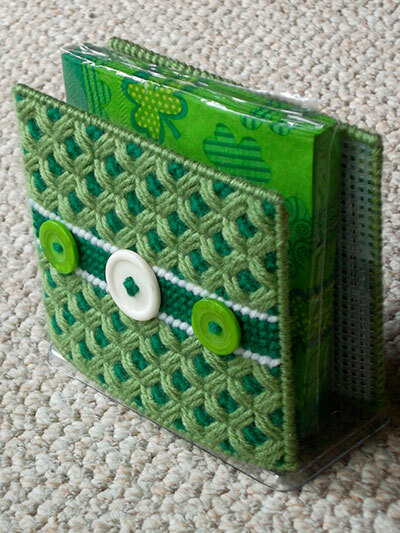 Stitch 4 plastic canvas designs to cover your napkin holder with checks, crosses, stripes or blocks. 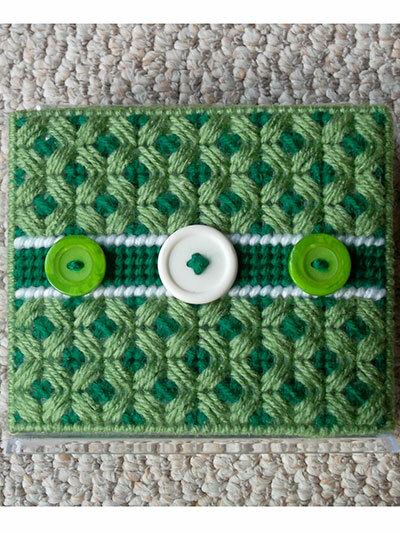 Change up the suggested colors and buttons to make a one-of-a-kind project great for a hostess gift or for decorating your own table. 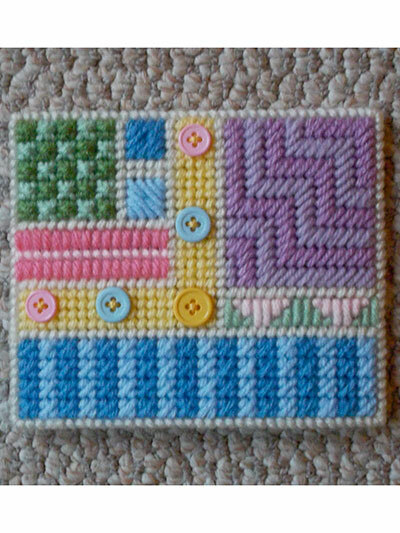 Each design covers a napkin holder panel approximately 5"W x 4"H.